Compliance with environmental regulations can be challenging. Our goal is to help you navigate this process quickly and without compromises. What’s the secret? We hire great employees, provide them with the training and tools to be successful, and approach every project with focus and rigor. 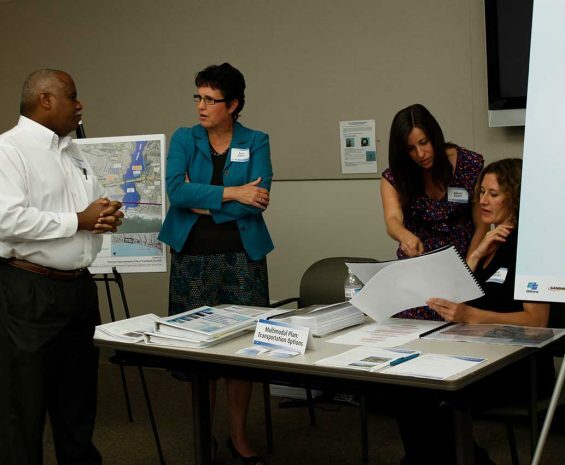 The result: CEQA and NEPA documents done right the first time. Our environmental professionals prepare documents that are technically accurate and legally sound, so your project proceeds in a streamlined, compliant, and straightforward manner. Applying practical CEQA/NEPA knowledge, we help you comply with current laws and regulations, creatively solving regulatory challenges within your financial and scheduling constraints. Our project managers, supported by in-house technical specialists, editors, and graphic designers, prepare high quality documents that are clearly organized and easily interpreted by all stakeholders.